Wow! 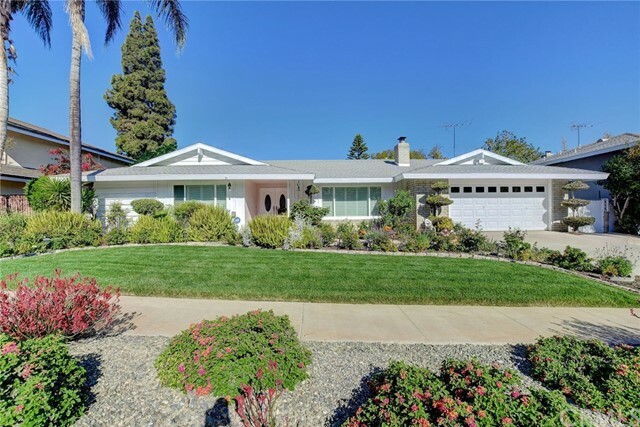 Charming, single-story corona ranch-style home with ample space. Donâ€™t let the simple elegance of its exterior fool you - this home boasts 3,324 sq. Ft. Of living space: 5 spacious bedrooms, 4 bathrooms and a loft. The manicured garden offers delightful curb appeal and a warm welcome to the double door front entry. Step into the foyer, which to the left leads you to 3 bedrooms and 2 fully updated bathrooms, including the main suite. To the right of the foyer you peer into a spacious living room with lots of natural light and a rock surround fireplace - perfect for entertaining. Enjoy cooking in your cheerful kitchen with new double ovens and take your morning coffee in the breakfast nook which overlooks the lovely backyard - ready for you to build your pool or dream garden. The freshly painted family room opens to an enclosed patio with walls of windows overlooking the backyard and a walk out to a side patio with outdoor fireplace. The other side leads into a private, charming cottage-style retreat with a private atrium. This high-vaulted airy space has a loft overlooking a living area/ bedroom with a walk-in closet and full bathroom and a main suite with its own private bathroom, all finished with light-stained tongue and grove pine. This space would make a great mother-in-law quarters, office area, private living quarter and much more. Impeccably maintained with a large backyard and extra-wide garage, centennial high zone, this home is a must see - it wonâ€™t last long. For more information or make an appointment to see property ID IV19079888.